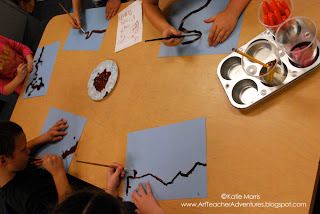 After the first day discussion, the students used lines of dark brown paint to form a cherry branch on light blue construction paper. 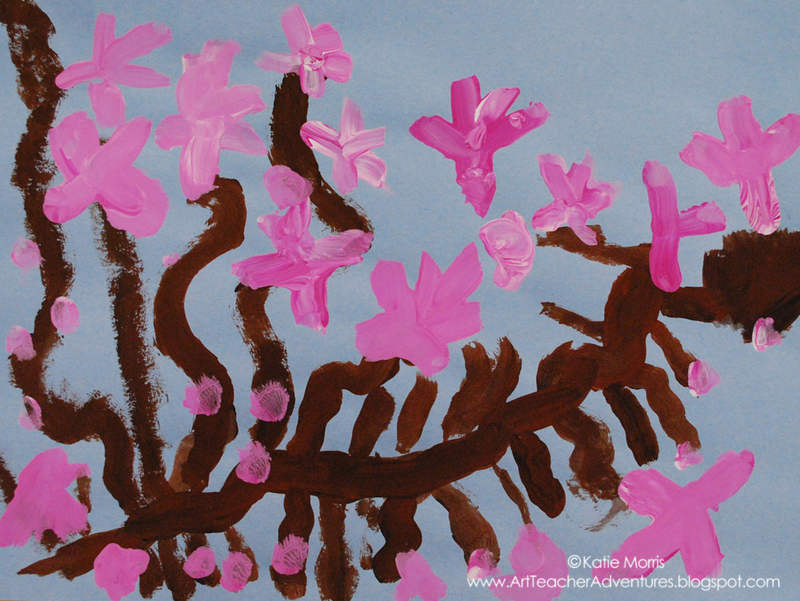 In the second class period, each table got a tray of magenta and white paint so the students could create different tints while painting the blossoms on their cherry trees. I thought about having the students add a self portrait "under" their trees but they actually filled the space for once so there wasn't room! Beautiful! 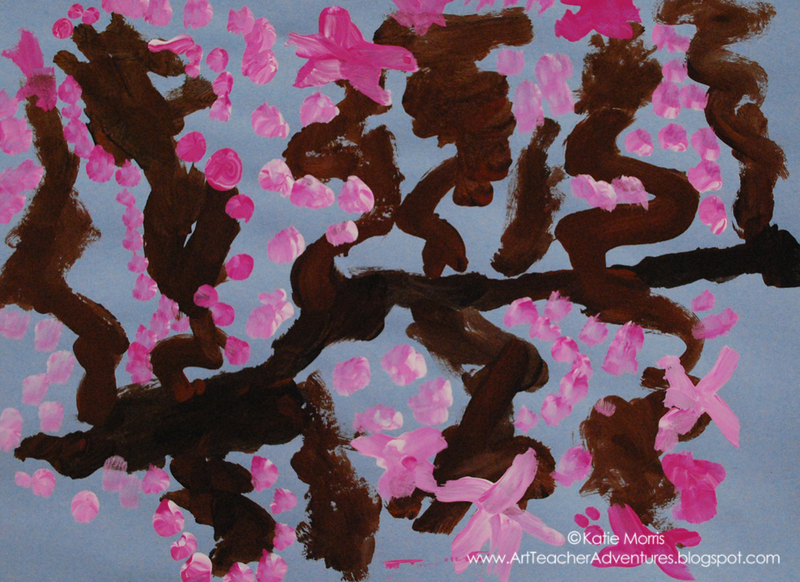 I love cherry blossom tree projects; they turn out so beautiful, and you can teach so much history and culture with it :). 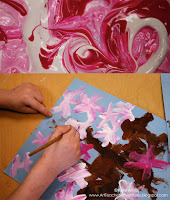 Check out my classroom projects! 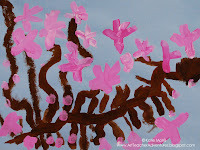 In an effort to help us all cite our sources, I have added my name, url, and a copyright symbol to all of my photos. My students obviously retain copyright of their original artwork.